October 2016 in SHOW TIME - Band Rehearsals and Performance Day!!! I need something to alleviate the symptoms I'm having. I have a bit of a dry throat and a cough, and some sinus stuffiness. I have a performance Saturday from 9-11 pm. What should I do? Drink plenty of non-alcoholic fluids. Zinc lozenges are good for the first 2 or 3 days of an oncoming flu or cold. I always go for chicken soup. You probably should see a doctor for something to help relieve the urge to cough. The more you cough, the more of a beating your vocal cords take, so something that will help to prevent you from coughing will help to reduce the setbacks that coughing causes. 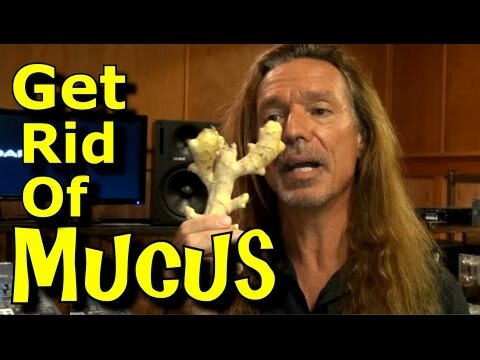 Watch Ken's videos on mucus and wellness. There are more good remedies there.